Research Scientist Pradeep Ashok at the University of Texas, Austin, Industry Consultant Arnt Aske at GCE NODE, Executive Director Jan Ødegård at Rice University, Project Manager Ann Marchioro at GCE NODE, Jostein Mykletun, Administrative Manager Rachel Funderud Syrtveit at Center for Offshore Mechatronics and Chief Scientist Fionn Iversen at Iris. 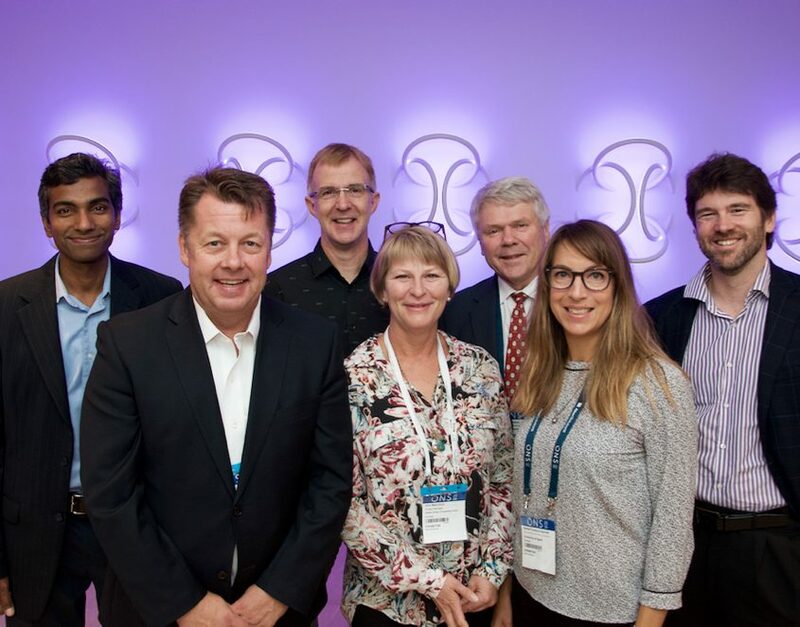 Information security and data integration were the main topics when Norwegian and Texan universities and research institutes met during ONS in Stavanger. GCE NODE, in cooperation with Iris, organized the NorTex ONS 2016 Breakfast Seminar Wednesday morning. The seminar was a continuation of discussions launched during OTC 2016 in Houston with focus on big data and extended automation possibilities. “The project aims to contribute to a natural flow of information in the value chain of the oil and gas industry. We look to put together a secure data integration layer, with data security, so that the right people can get access to the right information. This is a low-scale pilot project to validate the opportunity for information sharing and common time stamping of topside, service and operator data”, says Industry Consultant Arnt Aske at GCE NODE. Each participant of the Norwegian-Texan collaboration project – Iris, GCE NODE, University of Agder, University of Texas and Rice University – gave a short introduction. John Macpherson, Senior Technical Advisor Drilling Systems at Baker Hughes talked about “How to establish a pragmatic data integration layer, initially locally on the rigs”. “It is very gratifying to see the results of a 2012 idea to link the top professors and researchers in Texas and Norway”, says Jostein Mykletun, Former Consul General at the Norwegian Consulate in Houston, and the man behind NorTex. 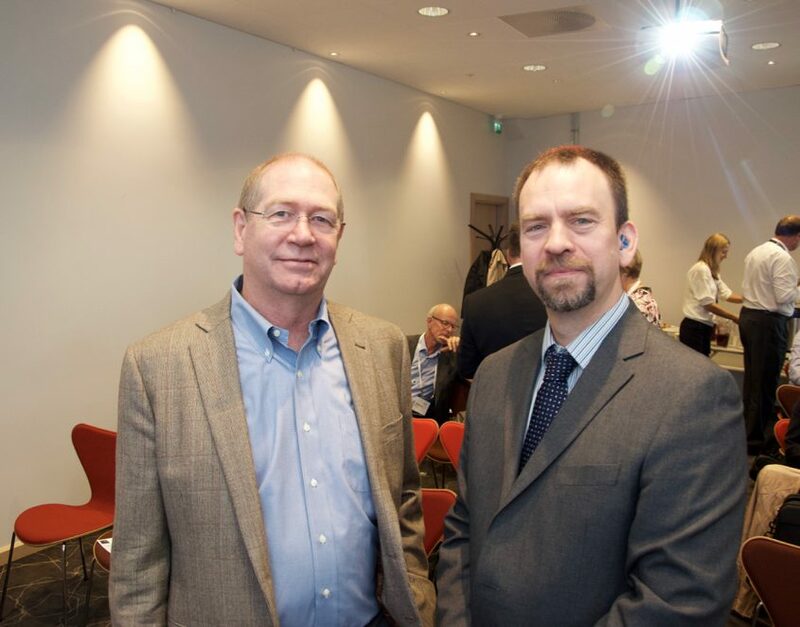 John Macpherson (left), Senior Technical Advisor Drilling Systems at Baker Hughes and Noroff Professor Iain Sutherland gave presentations at the Nortex Breakfast seminar at ONS Wednesday.